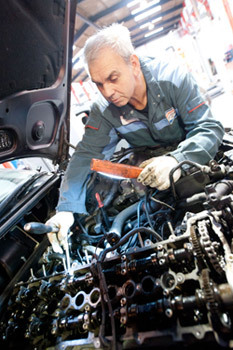 At Westhill Garage we can offer comprehensive servicing on all makes and models of cars and light commercials. As we carry out servicing to manufacturer’s specification your warranty will not be invalidated. We have 2 new MOT bays, testing Class 4 & 7 vehicles, petrol and diesel. With two dedicated tyre fitting bays, we can continue our reputation for great value tyres! All tyres sizes and makes available including run flats. Please give us a call for a quote or use our request a quote form. Copyright © 2019 Westhill Garage. All rights reserved.